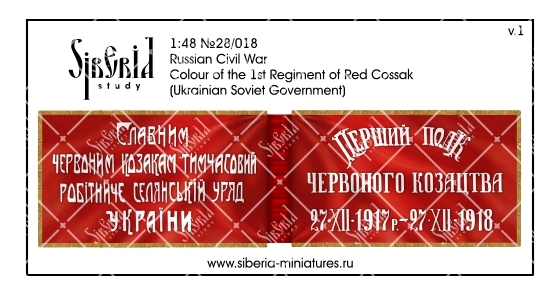 The 1st regiment of the Cervon Cossacks was an infantry, later cavalry, a military unit in the Ukrainian Soviet troops, later - as part of the united armed forces of the Soviet republics. 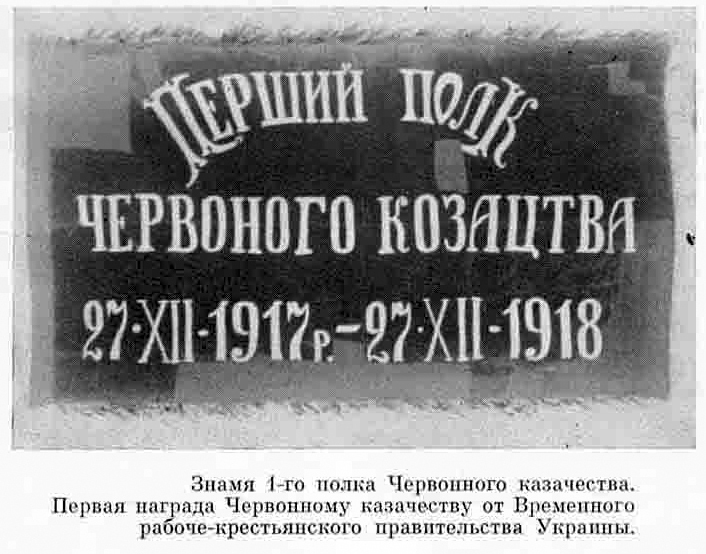 It was created in the beginning of 1918 from the Red Guards of the city of Kharkov, the revolutionary soldiers of the former Russian army, soldiers of the 2nd regiment of the UPR, who took the side of the Bolsheviks. The regiment fought with the German army, the army of the UNR, the White armies. At its base, a brigade was first created, then a division, and then the Horse Corps of the Chervon Cossacks. The regiment did not have a uniform, but for any items of uniforms (including elements of civilian clothing) cossack's red stripes on trousers were necessarily sewn, and the soldiers tried to have a fur hat with a red top as a headdress.